In the paint booth and ready for final paint. We were very pleased with how nice and straight our nearly 50 year-old Mercedes turned out to be. We were very pleased with how nice and straight our nearly 50 year-old Mercedes turned out to be. 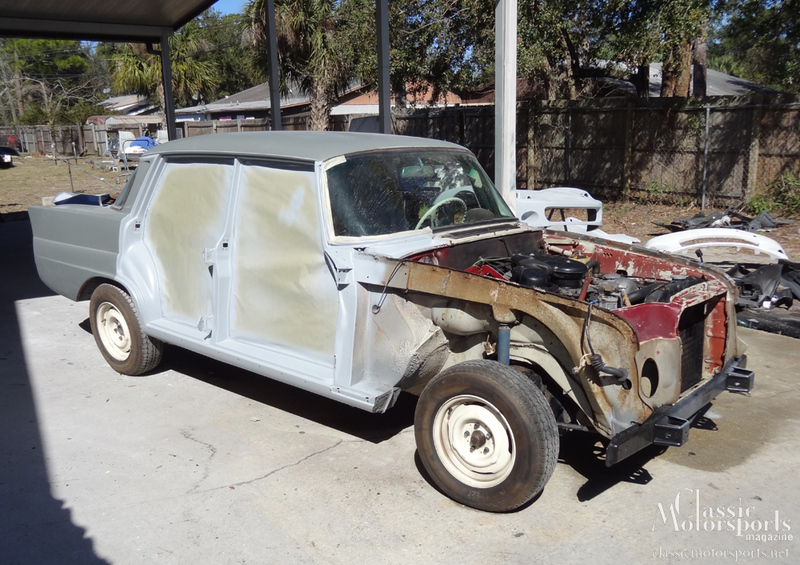 With the metal work done, we dropped the now-stripped car off at The Body Werks, in Holly Hill Florida, for final stripping, filling, blocking and painting. Bodywork is dirty and laborious work and we’re primarily in the magazine business, not the bodywork business. 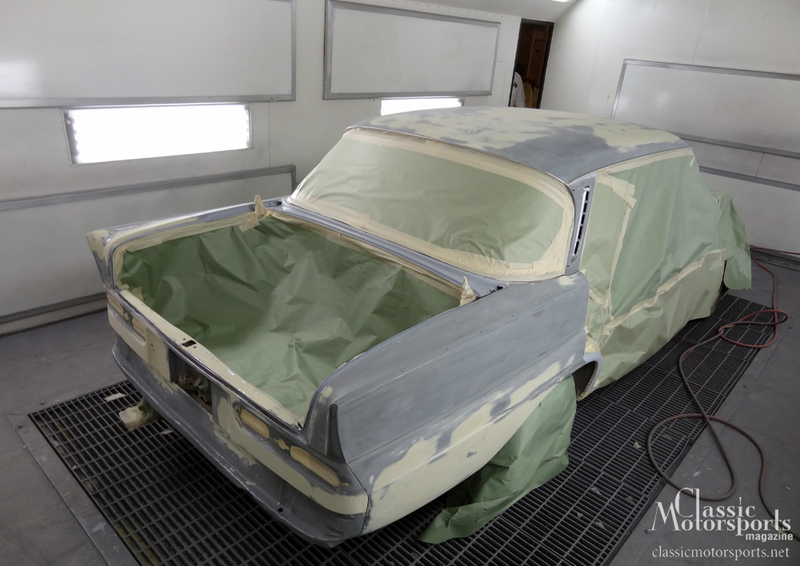 When it comes to this stage of the process Tom Prescott and his crew at The Body Werks do what they do best. Tom looked over our metalwork and declared it exemplary. He said the next step would be to strip the car down to bare metal and then prime it with a rust-preventing epoxy primer like PPG DP-40. From there they would hammer and dolly out what few dents were on the car and then prime it again with a high-fill primer. A few areas would need a little filling, and that filler would then be sanded down until hardly any was left. From there the car would be endlessly block-sanded to make sure all the panels were straight. Then they’d be cleaned and painted. So, what color do we paint this thing?